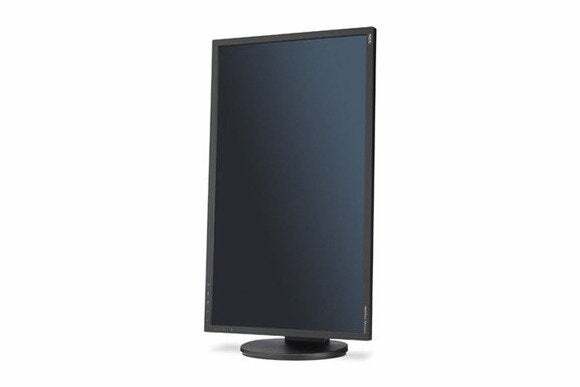 The NEC MultiSync EA274WMi is a 27-inch widescreen desktop monitor that uses high-quality IPS panels, LED backlights, and an anti-glare screen. 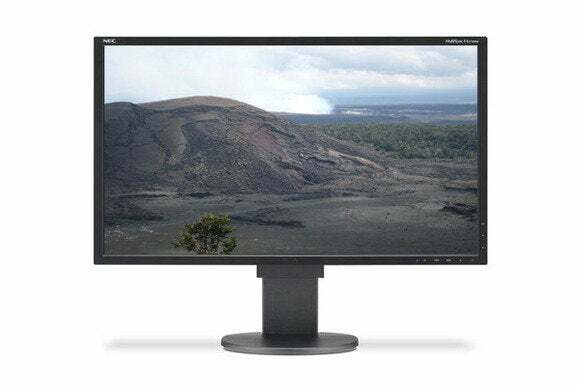 This 2560 by 1440 resolution monitor connects to your Mac or PC via DisplayPort, HDMI, DVD-D, or VGA and offers a four-port USB hub for peripherals. You can also connect two sources to the display and use NEC’s Picture By Picture feature to view both simultaneously. The display has built-in speakers as well as a port for plugging in headphones—handy features, especially for people using the EA274WMi with tower computers. The EA274WMi doesn’t offer a DisplayPort Out connection, which is a nice-to-have-but-rare feature that allows you to daisy chain monitors. The all-black EA274WMi has an ergonomically flexible stand that makes it easy adjust to a comfortable computing position. It can pivot between portrait and landscape modes, swivel left to right, tilt forward and back, and offers a generous five inches of height adjustment. The onscreen menus offer lots of customization options, with five different color temperature presets and native, programmable color settings and DICOM simulation for medical imaging use. In an effort to save energy and offer some screen privacy, the EA274WMi features what NEC calls a Human Sensor A sensor on the bottom edge of the bezel recognizes when someone is in front of the display. When no one is present, the screen dims. When it senses that someone is in front of the screen, the display returns to its previous brightness settings. You can opt to have the Human Sensor activate in anywhere from 1 to 255 seconds, set how close someone should be to the sensor to activate and deactivate the power reduction, and set the level of dimming to either 51 percent (Light) or 78 percent (Deep). The feature worked well, but it’s really a motion sensor, not a human sensor. Waving a stick in front of the screen will trigger the sensor. The EA274WMi’s screen looked great in all of our tests. You can move from side to side or up and down from the center of the screen without any obvious color shifts, thanks to the IPS panel. Grays were neutral and whites looked a little warm compared to other displays I’ve recently tested, but I find that preferable to the overly cool screens I often see. Skin tones looked natural and text was easy to read, even at small point sizes. I didn’t find any dead or stuck pixels in our full-screen solid color tests and I saw no issues with screen uniformity or light leakage. 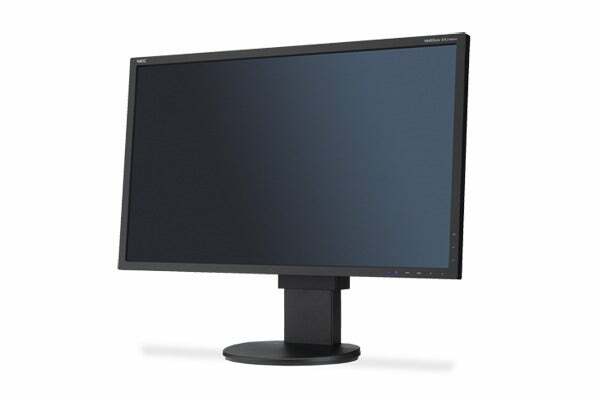 If you’re looking for a large, high quality, IPS-based monitor with an environmentally friendly disposition, the NEC MultiSync EA274WMi would be a great choice.